On Saturday I shared this corner of our living room with a new arched mirror. I received a lot of questions about where I found the mirror so I wanted to share with you on the blog as well. 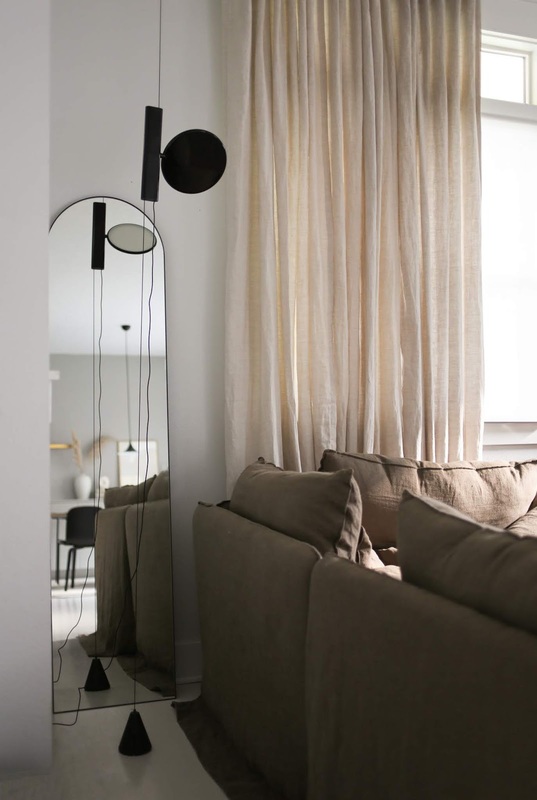 The arched mirror was found here and it's a nice piece to add to a dark corner or wall to bring in a bit more light, though we also have this Flos lamp in the corner as well, the mirror adds extra light in the daytime when the lamp is not in use. Hardware for hanging or leaning came with the mirror too so I can attach this to the wall either way without worrying about it tipping over, a concern shared by parents and pet owners I'm sure!